***** FX4 Crew Cab ***** FULLY LOADED *** ECO BOOST ** $5000 OFF BOOK PRICE ** Here is one sweet truck at an amazing price. 2014 Ford F150 Crew Cab 4x4 FX4 with all the options including Leather interior, Power moon roof, Navigation, Heated and Cooled seats, Back up camera, Bucket seats, Center shift, Step tubes, Tow package, Trailer brake controller, Power folding mirrors, Spray in bed liner, Folding bed cover, Sync Bluetooth, Sony Stereo, Remote start, Power pedals, 20 Inch wheels, and much, much more. The F150 even comes with near New BF Goodrich tires and Custom MBRP exhaust. Power comes from the big 3.5L Eco-Boost engine for tons of power and excellent fuel mileage. The Fx4 is also Carfax Certified accident free. Take a look at this truck. 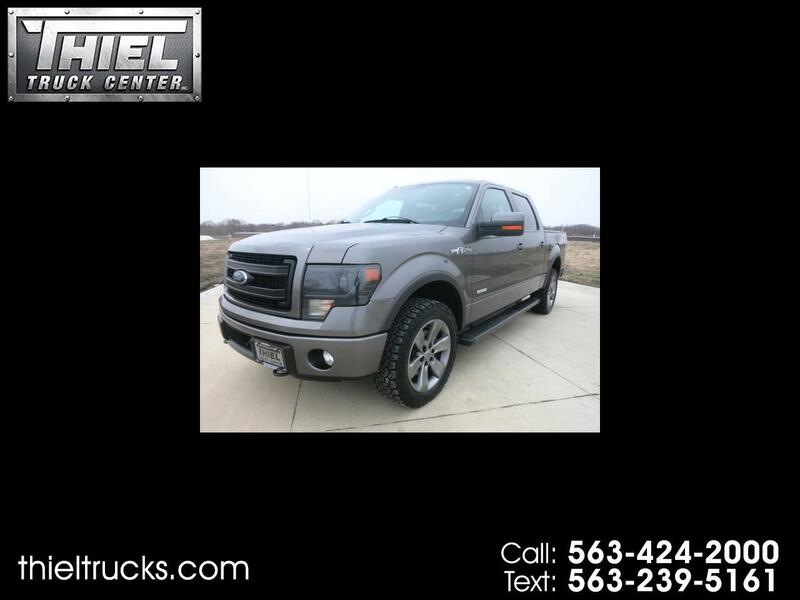 It looks awesome and it's the BEST priced 2014 FX4 around. We sell the BEST for LESS. This truck is now exception. NADA Book value is over $30,000. Our price is just $24,995. Don't miss out! Call or Text now.